A stunning tiara will be the perfect accessory to add drama and elegance to your wedding day, prom or quinceanera! We offer hundreds of the latest styles of headpieces from the top bridal designers in a wide variety of colors, ornaments and themes. Whether you are looking for a dainty princess style tiara or a bold statement headpiece, you are sure to find it at Affordable Elegance Bridal. 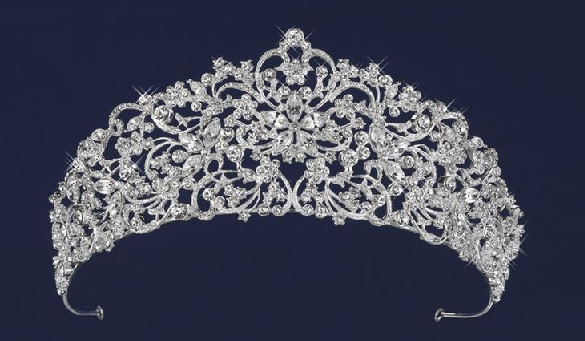 Featured here is our stunning hp17883 tiara, one of the fabulous Lucky Collection tiaras. Do you need help choosing your headpiece? Just contact us and we'll be happy to help!